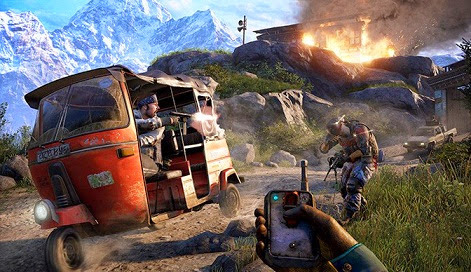 Far Cry 4 will have a cooperative mode that works even for those who do not have the game, according to information announced by Ubisoft at E3 2014. This will function by downloading a separate application as well as with the Play Download Nintendo 3DS. With it, you can download an application to receive invitations to players who have the Far Cry 4. The game will arrive for PlayStation 4 and Xbox One in November. This application, however, will take up plenty of space on the HD consoles or PC, as it will have all the content of the game with the exception of the missions of the single player campaign. The technical director at Ubisoft , Cedric Decelle, said the cooperative multiplayer will be more difficult than the campaign mode. The developer still experiences like this will be done, but it can be that characters have less life or artificial intelligence of the enemies is improved. Furthermore, the character of the second player will be Hurk, of Far Cry 3. This is the first time a same character appears in more than one game in the series. This suggests that both games take place in the same universe.